Klick Technology offers a range of products which reflect the diverse requirements of this curriculum area. 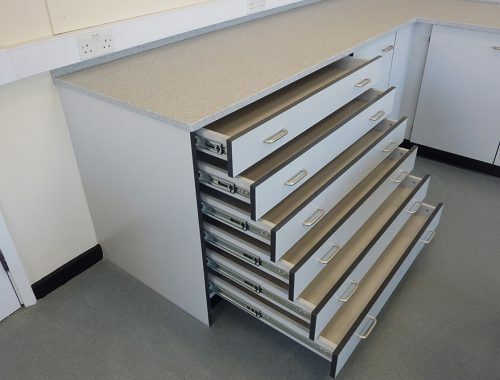 Our design & technology furniture is robust and designed to withstand the inevitable wear and tear caused when working with resistant materials. For woodwork and metalwork furniture, heavy gauge steel frameworks are used to give maximum support to the work surface. Depending on the weight and requirements of any machinery being used, reinforcement of workbenches may be required using a wooden or metal subframe. Dust extraction is vital in a D&T environment. We can advise on the most appropriate system depending on your specific machinery and requirements. We also provide furniture suitable for electronics, graphics and design, drawing, modelling, making and testing. 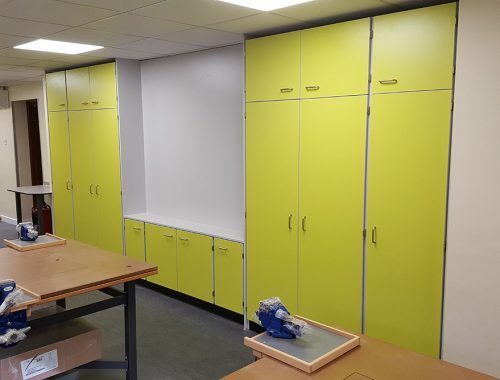 For textiles rooms we can provide bespoke saw-tooth benching to accommodate sewing machines and specialist deep stainless steel sinks ideal for dyeing processes. 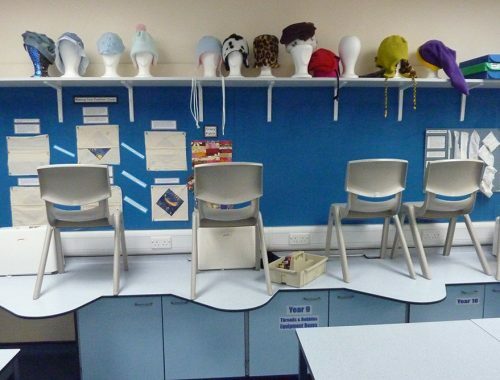 Furniture for textiles rooms can be supplied at different heights appropriate for the specific activity. 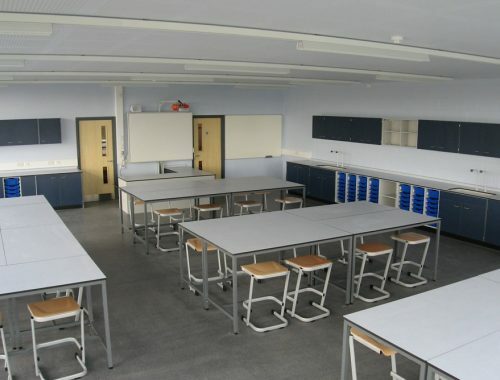 We can also provide furniture for art and pottery rooms. In art rooms storage is key. Consideration should be given to storage of A1 paper/artwork, materials & equipment. In pottery rooms clay traps are recommended to be fitted under sinks for easy removal of clay. Our experienced design team can advise on the best solution for your specific requirements. As part of this free service we provide 3D CAD layouts for all quotations to aid visualisation of the room before making a final decision. 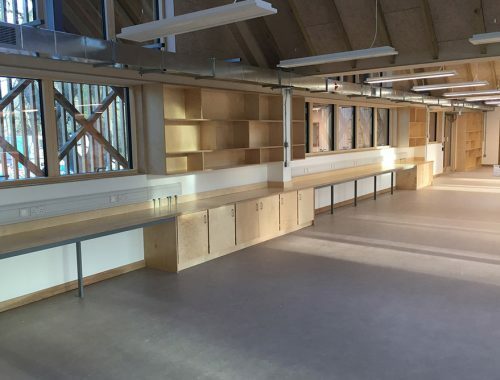 Klick provided the furniture for the new art and design facility at Bedales School in Hampshire. Their staff were patient during the design phase, making suggestions to ensure the design brief was answered in a practical way. 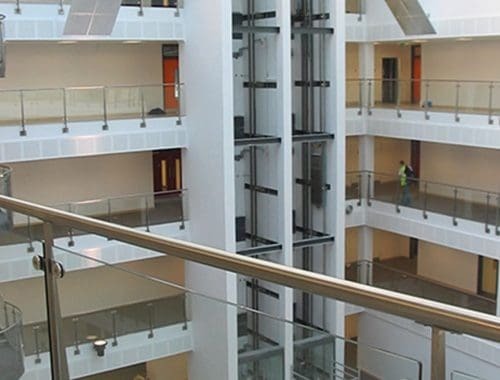 Their project management team provided excellent support throughout and the installation team were proactive on site. The staff at the Guildford office have nothing but praise for Klick and hope to work with them again in the near future. Browse our latest D&T / Art Case Studies using the arrows below or click to view all case studies. Need advice on workbench heights?